there must be someone with food around. By the way where is three sisters. Lovely photo Mick....Derek, the three sister recreation country park is located in Bryn, Ashton-in-Makerfield. Find Bryn road South, then Lockett road and on to Burn road. As you head for the race circuit turn right, follow the road and your there. It's easy to over expose the white feathers, but you haven't - good photograph. 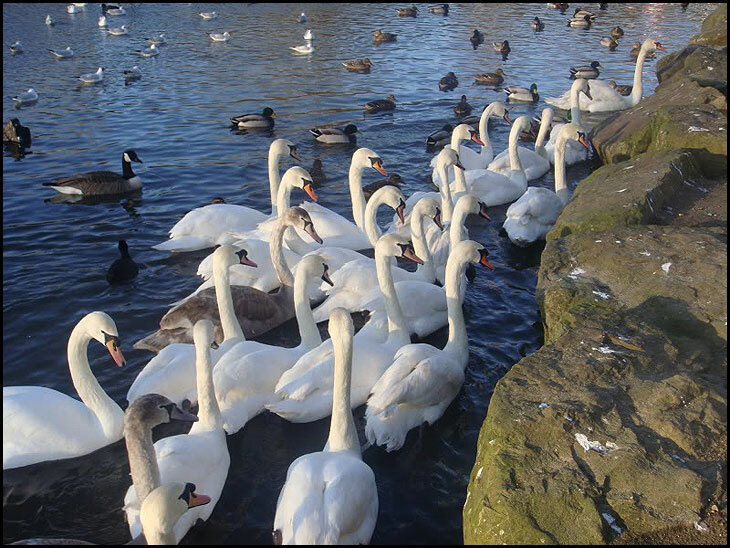 How beautiful the swans look, its a lovely photograph Mick, well done.